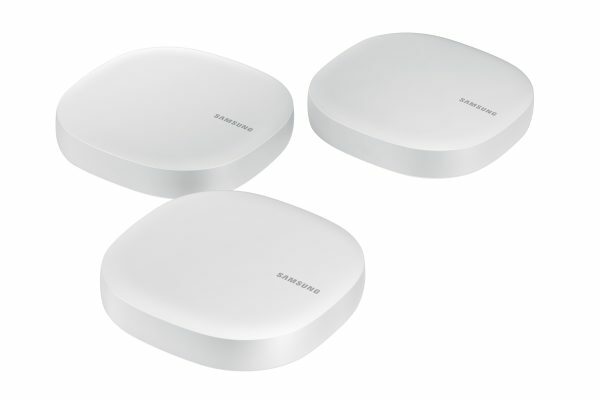 Samsung has released more details and availability for Connect Home, a system that combines a WiFi mesh network with a SmartThings Hub. Essentially, Connect Home will offer you the same mesh WiFi capabilities as other options on the market, but with the addition of a SmartThings Hub also built in, it becomes a controller for all of your home’s supported smart products. 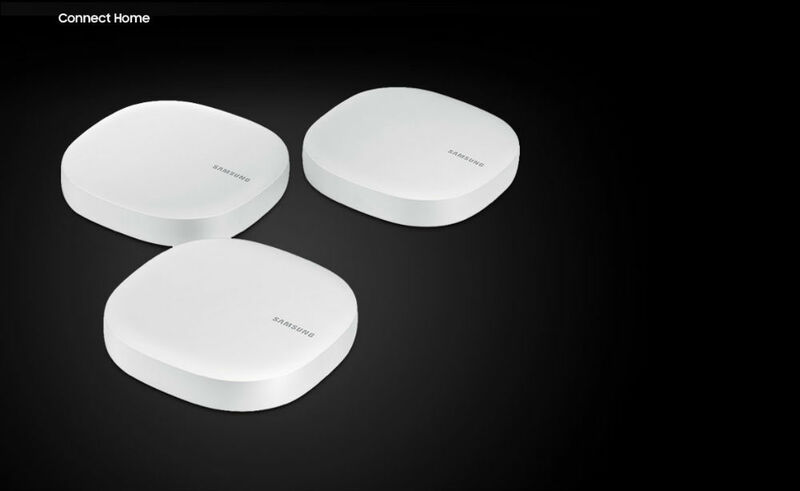 For specs, the Connect Home, available as a single or 3-pack., features a 2×2 MU-MIMO antenna, 710MHz quad-core processor, 512MB RAM, 4GB flash storage, Zigbee, Z-Wave, Bluetooth 4.1, 4x WiFi (2.4 GHz + 5 GHz), 802.11 a/b/g/n/ac wave 2, and speeds of up to 866Mbps at 5GHz. Interestingly, Samsung also has a “Pro” model available, priced a little higher, but with 4×4 MU-MIMO, 1.7GHz dual-core processor, 8x WiFi connectivity, and AC2600 speeds (1733Mbps at 5GHz). So, while the mesh WiFi stuff is sweet, we all know there are already a ton of options out there. This is where the SmartThings integration will come in handy. Instead of having multiple devices, one for WiFi and another to control your smart stuff, Connect Home will do it all from a single app. With SmartThings, users have support for connected products from Ring, Schlage, Yale, Philips, and the list goes on. It’s quite an intriguing proposition, so long as you haven’t already invested in anything else. Connect Home will be up for pre-order exclusively through Best Buy starting June 4, priced at $169.99 for a single standard Home or a 3-pack for $379.99. If you want the Pro unit, it’s priced at $249.99 for a single unit.